I was fortunate to attend the NYWIFT gala celebrating the achievements of women in film and television Monday. Costume designer Sarah Edwards, hair stylist Rose Chatterton and makeup artist Anita Gibson were honored for their work. Gender disparity is rampant throughout the entertainment industry. It was an empowering night to watch successful women encouraging others to support and mentor other creative women. Sarah Edwards is the costume designer behind the recent Teenage Mutant Ninja Turtles: Out of the Shadows. 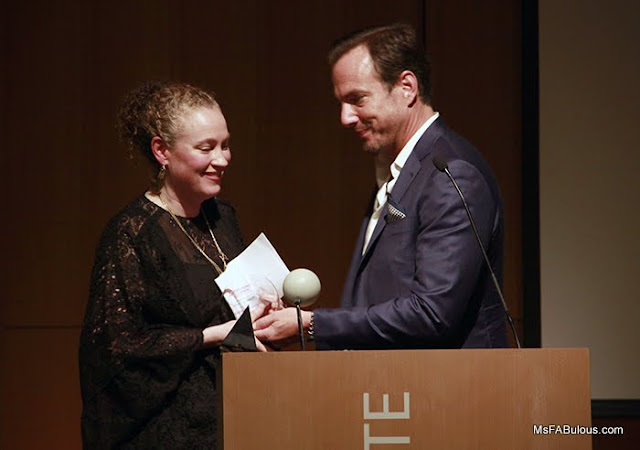 Star Will Arnett was hilarious in character as "himself" in his speech about Edward's talent as he took an interest in anyone who makes him look. 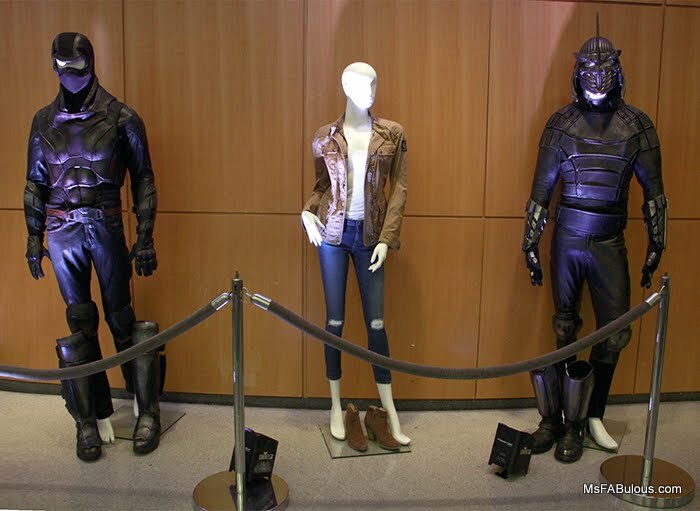 Her favorite look for the movie was the armor-like costume for Shredder (far right). She is also behind the costumes of Michael Clayton, Last Days of Disco, The Devil's Advocate among others. She also oversaw the looks for The Secret Life of Walter Mitty with Ben Stiller. She remarked the subtle difference in dressing Stiller in frumpier versions of the same outfit in his real life scenes versus the sharply tailored versions of his fantasy sequences to define the character. Legendary actor Ray Liotta remarked on the talent of hairstylist honoree Rose Chatterton in his presentation. He noted that in the initial reviews of his show Shades of Blue, the press actually complimented his hair in their articles. That's memorable hair. In my chat with Chatterton, she noted the most challenging days are the long ones, chasing down talent in humidity and wind. She actually looks to her clients for discovering the best in hair products. They are often gifted new beauty items and then share their favorites with her. In addition to the show Shades of Blue, she created the retro looks for Factory Girl and Indiana Jones and the Kingdom of the Crystal Skull. 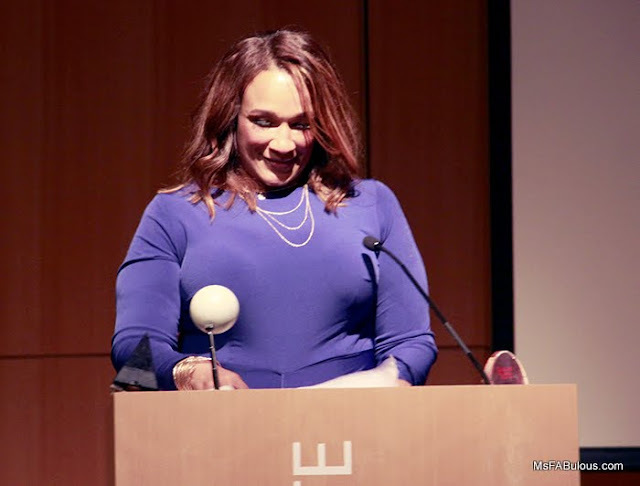 Anita Gibson was a powerhouse of energy at this event. Her favorite beauty products are to work with nails. She initially succeeded in film by excelling in films like Inside Man and Tyler Perry movies as an expert in working with diverse casts. That became more poignant when she worked on Kerry Washington playing Anita Hill in HBO's Confirmation. In the 1990s, cosmetics options for women of color were limited. Gibson reflected that in creating her look for Washington during the testimony scenes. She illustrated the stress Anita Hill's character endured in using waning lipstick and a lack of facial makeup as Hill's testimony wore on. The entire creative team in costume, hair, and makeup for the tv program The Affair was honored at the NYWIFT awards. 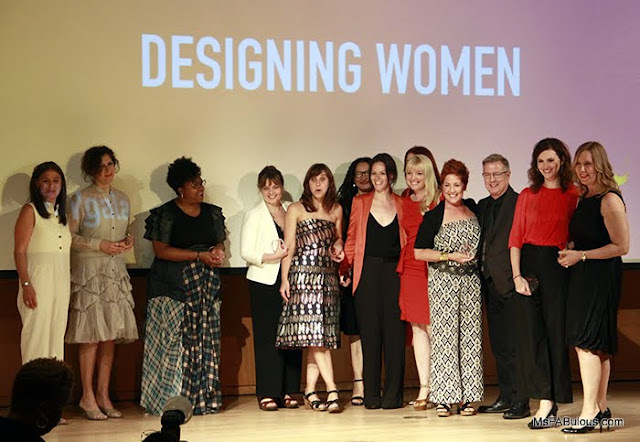 Star Maura Tierney presented the award to the enthusiastic ensemble. What is subtle, but fascinating about this show is that the same storylines are told from multiple characters perspectives. This requires major diligence and precise creative choices to style onscreen. Costume, hair, and makeup are always admired when the project is a fantasy or time period. However, helping to build the characters for realistic situations and real life is more intricate with less appreciation. I noticed that all the women honored this night had that in common. The characters they styled had to be believable in all scenes, even if they were the same scenes shot differently. 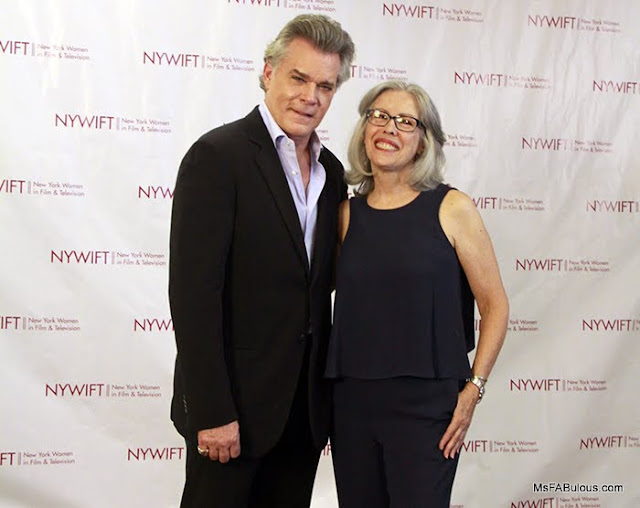 NYWIFT, the New York Women in Film and Television is proof that there are many hard-working, successful creatives in the field. Entertainment may be a cutthroat industry, but talented people are happy to prop each other up.